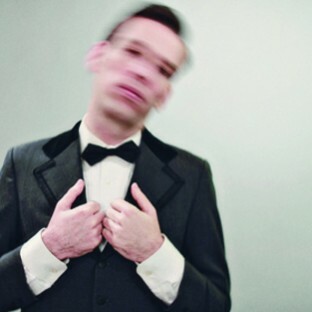 Seattle-based Jherek Bischoff is equal parts songwriter, producer, performer and composer. He has also been called a “pop polymath” (The New York Times), a “Seattle phenom” (The New Yorker), and “the missing link between the sombre undertones of Ennio Morricone and the unpredictability of John Cale” (NME). You can follow him on Twitter here. Jherek Bischoff is a Seattle musician with one solo album released on Jason Webley's Eleven Records. His songs are shadowing soundscapes with mysterious lyrics. He also has a new release on Osaka Records under the moniker of 'Ribbons' He’s served as both full-time member and guest musician/arranger for and the Jason Webley Quartet, as well as experimental pop crews The Dead Science, Xiu Xiu and Parenthetical Girls. He has composed music for dance and orchestral performances, and elegantly produced records for many of his talented friends including Casiotone for the Painfully Alone’s critically acclaimed Etiquette and Parenthetical Girls’ Safe As Houses http://jherekbischoff.com/ http://www.facebook.com/jherekbischoff http://jherekbischoff.bandcamp.com/ Read more on Last.fm. User-contributed text is available under the Creative Commons By-SA License; additional terms may apply.